In spite of growing concerns about the invasion of the sun-coral Tubastraea coccinea along the tropical Southwestern Atlantic, the biological interactions mediating this species’ establishment and spread are largely unknown. Here, we identified species associations with T. coccinea by comparing community structure between invaded and non-invaded areas at Búzios Island, SP, Brazil. We also investigated effects of chemical cues from representative benthic species on sun-coral larval performance in the laboratory and quantified the density of sun-coral recruits across different microhabitats in the field. Field surveys showed that the invasion of the sun-coral is more intense at reef areas of higher species richness and diversity, putting at risk a higher number of native species than anticipated and suggesting that local richness offers little resistance to invasion. Highest density of T. coccinea recruits observed on the least bioactive encrusting corallines suggests this taxonomic group may constitute doorways to the establishment of this coral. In contrast, field patterns of sun-coral colonies and recruits, as well as laboratory trials, suggest that cnidarian-dominated habitats represent obstacles to the sun-coral invasion. Thus, while areas dominated by the snowflake coral Carijoa riisei—which showed the greatest negative allelopathic effect on T. coccinea—likely provide resistance to the invader spreading, areas covered by encrusting coralline algae and ‘barren substrates’ probably facilitate its establishment. 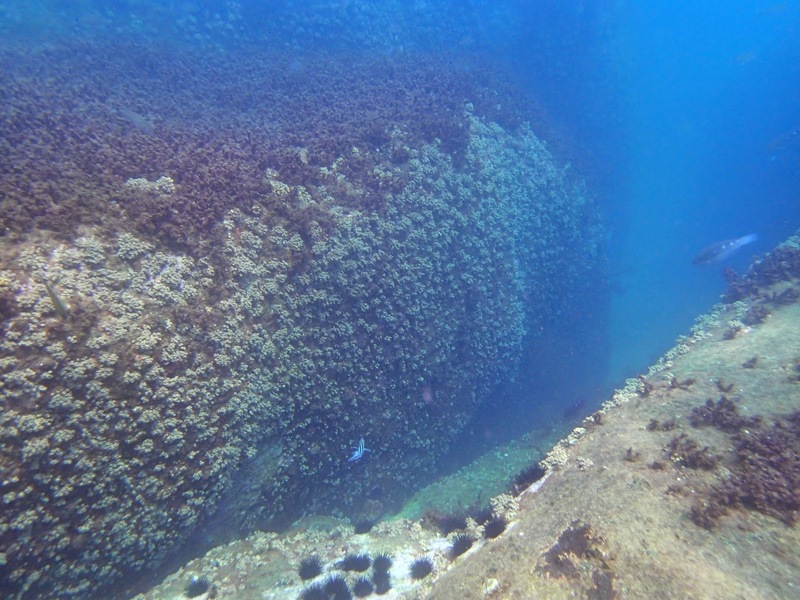 Because these latter, less-structured microhabitats often prevail after disturbance, damage assessment following human-mediated impacts should include detection and control of sun-coral populations. Reviewed by A. B. Bugnot and an undisclosed expert. The online version of this article (doi: 10.1007/s00227-017-3164-3) contains supplementary material, which is available to authorized users. We are grateful to the technical staff of the CEBIMar/USP, especially Alex Monteiro, Joseilto Medeiros de Oliveira and Elso Alves da Silva for their support in field surveys and laboratory experiments. Thanks are also due to Rafael Duarte, Fernando Freitas, Pedro Guerra, Fernando Hidalgo, Inês Leal, Karine Nascimento, Marcelo V. Kitahara, Alvaro E. Migotto, Gustavo M. Dias, Soledad Lopez, Carla Zilberberg and Samuel Faria for their comments and advice in all stages of this study. Two anonymous reviewers provided very helpful comments and criticism which greatly improved the paper. Financial support was provided by the Conselho Nacional de Desenvolvimento Científico e Tecnológico, as a research grant to AAVF (CNPq 400614/2014-6), the International Collaboration Program PC-PEG (Programa de Estudante—Convênio de Pós-Graduação), promoted by CAPES (Coordenação de Aperfeiçoamento de Pessoal de Nível Superior), through a PhD fellowship to DM, and by the Fundação de Apoio à Pesquisa do Estado de São Paulo, through a visiting scientist grant conceded to SAN (FAPESP # 2012/0519-3). 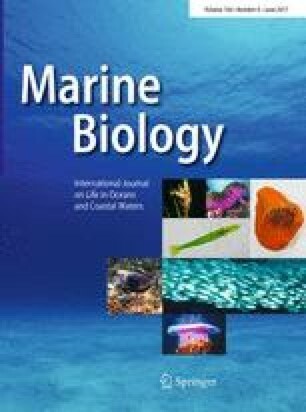 This is a contribution of the Research Centre for Marine Biodiversity of the University of São Paulo (NP-Biomar/USP).